There are few things as devastating as hearing the news that your home has suffered substantial damage because it was not properly protected. Whether this damage took place because of a burglary or some sort of mechanical failure in your home, it is awful to learn that your home will never be the same. If repairs are even possible, often times they are incredibly expensive and require uncomfortable living arrangements until complete. Regardless of what generation we come from, technology is making a profound difference in our lives. This is especially true when it comes to the safety of our homes and livelihoods. 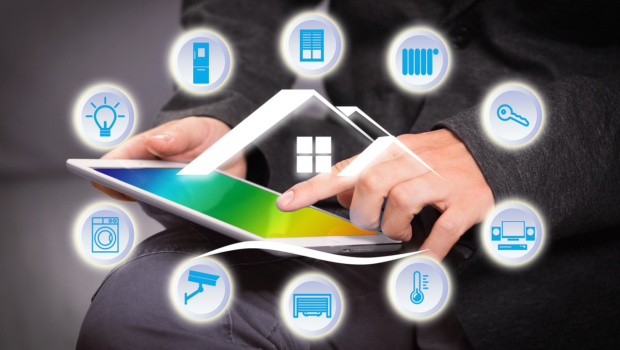 Within our homes, new technologies are giving us the power to more effectively monitor and control conditions and make them safer for ourselves and our families. Home technologies that are designed to improve safety and convenience come in many different shapes, sizes, and designs. Some target potential intruders, while others help prevent mechanical or accidental issues within the home itself. Below is a quick guide to some technologies that are leading the way. Perhaps one of the most easily forgotten, but potentially detrimental, parts of the home is the fireplace. On cold, blustery nights, there are few things more enjoyable than clustering around a crackling fire and enjoying the warmth. But there is a lot that goes into fireplace safety such as routine cleaning and maintenance to prevent a dreaded chimney fire. Fireplace technology is offering numerous solutions to help families enjoy fireplaces without the serious risks and effort associated with maintaining a safe hearth. For instance, there are a variety of fireplaces that are designed to burn substances other than wood, which greatly reduces fumes that cause soot buildup and can lead to chimney fires. Additionally, many now have alternative venting technology that enables users to forego the chimney in favor of a more safe and efficient venting method. Some technologies are changing the idea of the traditional fireplace altogether. Electrical fireplaces, for instance, are making a huge surge in the new home market. They are easy to use and do not require a gas line or ventilation system. Furthermore, they are often simpler to use and provide consistent heating. Smart doorbells are quickly becoming a must-have feature in new, technology-driven homes. These doorbells allow owners to see who is at the door and even communicate with the visitor before answering the door. In many devices, this technology even works when you are not at your home! Smart doorbells are connected and synced to other smart devices such as your phone or watch. When someone comes to your door, rather than the traditional “ding-dong” that you would hear, an alert comes up on your phone. You can answer the alert by video or chat, allowing you to either just see who is at the door or chat with them before opening it. There are numerous smart doorbells on the market, most ranging from approximately $100 to $300. They are relatively easy to install and connect to a smart device as long as you are familiar with smart device connections. Most smart doorbell users claim they would never go back to a normal doorbell because of the convenience and added safety they feel regarding their home protection whether they are there or not. Another major technological advancement that is helping to improve the safety of homes is the development of smart hazard detectors. A small fire can turn into a major house fire in less than 30 seconds if it ignites in the right place for instance. For these reasons, detectors such as smoke alarms, carbon monoxide sensors, and water leakage monitors are critical in our homes. Smart detectors work much like smart doorbells do in that they can easily connect with a smartphone, pad or watch and will alert you if something trips their sensors. Many of these devices will even speak or type to you what the perceived problem is, making it easier to quickly find and resolve it. If you are away from home, some will even call the necessary emergency personnel to deal with the situation. As with smart doorbells, there are numerous smart detectors on the market. Many can combine tasks such as smoke alarm and carbon monoxide detection, however, simpler single-task detectors such as a smoke alarm may cost around $100 per device. 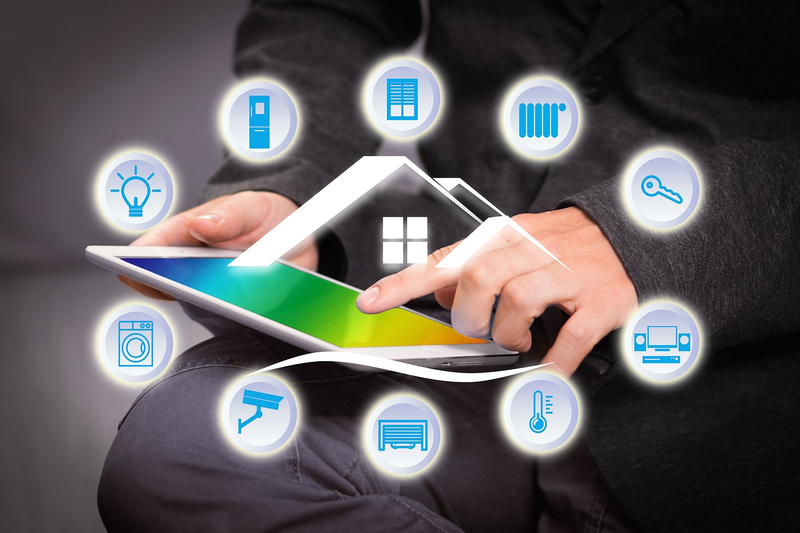 All devices in the home can be synced and observed in a single app, greatly reducing the difficulty of figuring out which alarm is going off or needs new batteries. Smart devices are making a powerful impact on our lives, particularly when it comes to the safety of our homes. Things such as safer fireplaces and smart detectors can substantially lower risks of home damage, while devices such a smart doorbells help to keep our homes safer from outside forces. As you plan any home upgrade, be sure to keep these gadgets in mind.